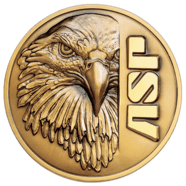 ASP Lithium AA Batteries – ASP, Inc.
Lithium primary cells are the international standard for powering tactical lighting products. ASP Lithium cells incorporate a positive temperature coefficient (PTC) protection circuit and safety vent. The system prevents instability in the event a cell overheats or should rapidly discharge as the result of a short. ASP Lithium batteries are packaged in a 4 cell clamshell, 12 cell box or 50 cell carton. A free Link storage case is included in each clamshell and box. NOTE: Due to carrier restrictions, batteries can only be shipped via domestic ground shipping to the lower 48 states. Air shipment must be selected for orders to Hawaii and Alaska.